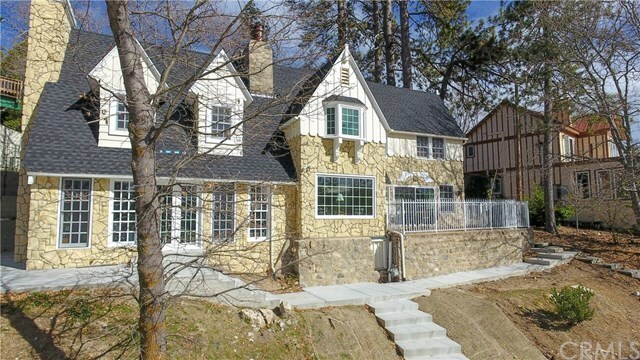 English Country Cottage In Lake Arrowhead. Reminiscent of yesteryear, this home is sure to please. Lovingly maintained to keep the charm but modern conveniences of new windows, driveway and roof make this even better! 5 Bedrooms and and an office, formal dining, large living room with fireplace, decking to take in the lake and tree views, a short stroll to the lake trails and so much more. A fantastic single-slip dock walking distance from the home is available with the purchase of the home for additional money.